St Ives Shark - Its Out There Somewhere ! I've been bombarded with emails from various shark lovers and self-appointed marine conservation experts - concerned that St Ives is about to launch an armada of shark hunters -out to catch the St Ives Shark. One of them asking me to "call a halt to this shark-hunt !". The well regarded and authorative national newspaper The Daily Star states that "Fishermen have booked out hotels in the resort, hoping to follow the feat of the hero cop in the first Jaws movie, played by Roy Scheider, 75, and kill it.". According to The Star there is a £25,000 bounty on the shark's head. I'd like to assure you that the shark is almost certainly safe and on its way home back to warmer waters. 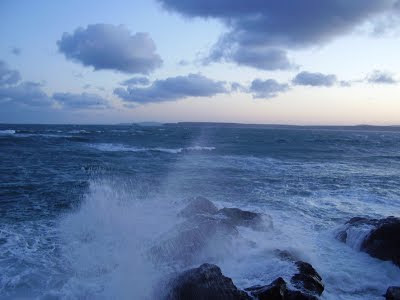 If it really was out there - and there really was a £25k price on it - I can assure you that by now St Ives fishermen would have it caught and ready for auction on the harbour. 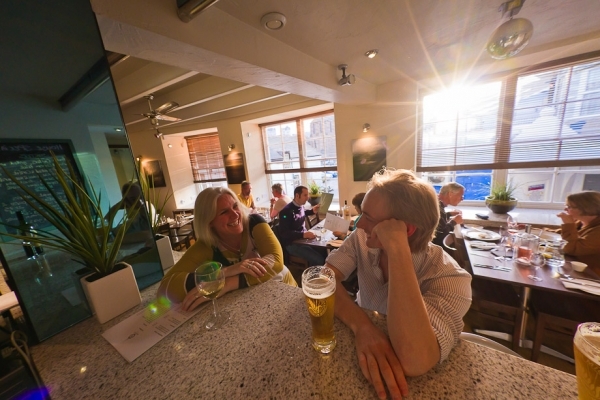 Meanwhile all those shark hunters and journalists - you can enjoy a relaxed weekend in St Ives. A couple of nice options if you're looking for somewhere to celebrate Father's Day this Sunday. The Queens Hotel on High Street has now fully re-opened - with a brand new bar menu and refurbished bedrooms. The new menu was described by The West Briton as 'high-end grub in a relaxed, friendly setting'. Chef Matt Perry's is aiming to offer 'Pub food at pub prices' using only the best local ingredient. 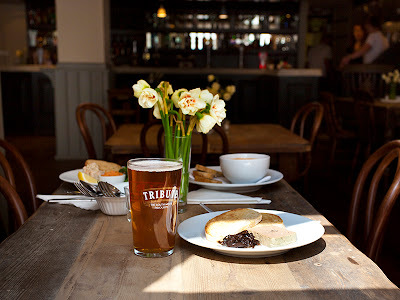 Everything is freshly cooked and prepared on the premises - included bread baked daily and home-made ice-cream. A major refurbishment of the five bedrooms is now complete - including handpainted furniture, vintage blankets and mirrors. Cornish art and antiques are part of the decor.There are three doubles and two family rooms - So guests for dinner can now sleep over! Good to see The Queens fully back up and running after a period of closure. 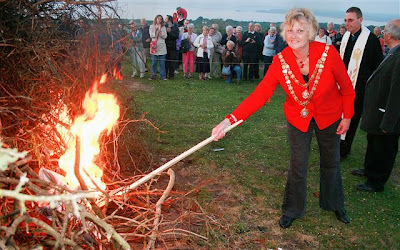 St Ives Old Cornwall Society are organising a Midsummer Bonfire at Carn Stabba near Halsetown - next Thursday (23rd June). 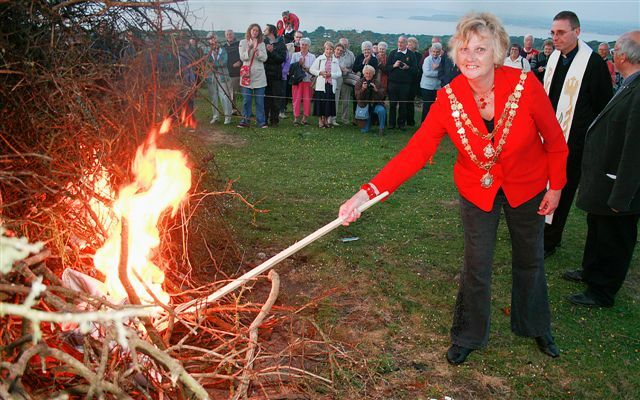 Celebrations start at around 9.30 pm with the fire lighting at 9.45 pm. All welcome. Food and drink available or bring your own. 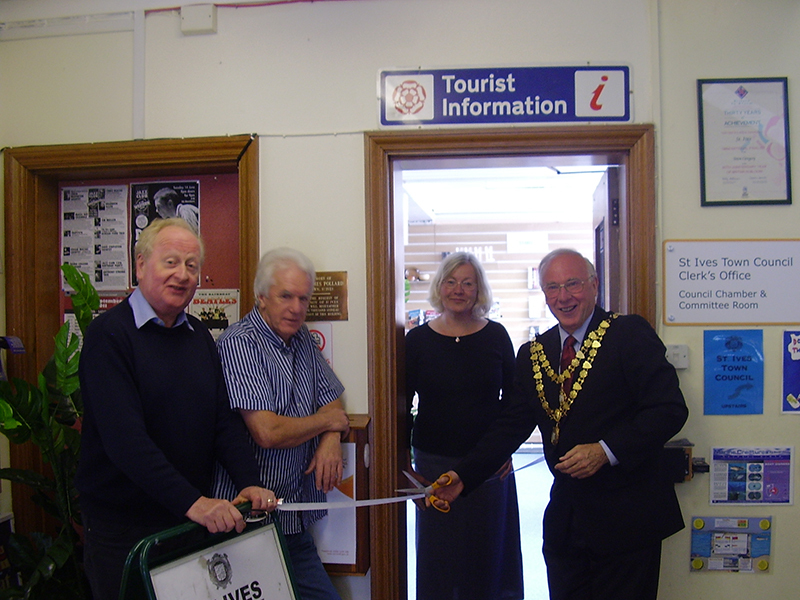 Our new Visitor Information Centre was officially opened this morning - with a ribbon cutting ceremony conducted by Mayor Of St Ives Ron Tulley. 10.00 am - 5.00 pm Monday to Friday. 10.00 am to 4.00 pm Saturday and Sunday. Today during the first morning of business around 100 people were visiting every hour. St Ives Visitor and Information Centre. 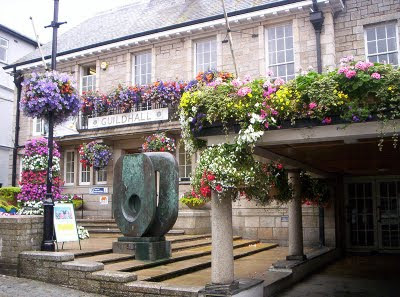 The centre closed last month when Cornwall Council withdrew funding. It will now be run by St Ives Town Council. The council are asking local businesses to join up and advertise - which will be the main source of funding for the centre from now on. They've published a list of membership rates - on a sliding scale according to the type and size of the business wishing to join. Members will be included in an accommodation guide and on a website. For visitors the centre will provide general information and an accommodation booking service. There will be a launch event at The Guildhall next Friday (10th June) at 5.30 pm to which all are invited.